Agency planning move to a new West End office in early 2019 to accommodate future growth. London-based Story Events has forecast turnover of £7.7m for this year, growing from £3.1m in its first year of trading five years ago. 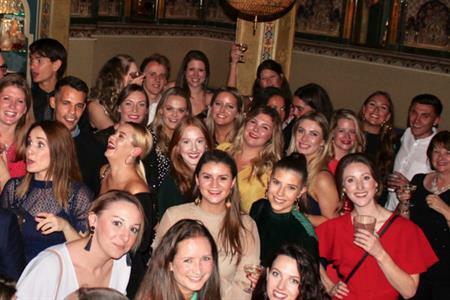 The agency now has 24 full-time staff, including three event management interns, who recently celebrated Story Events fifth birthday with a party for staff and partners at Victorian Bath House. And plans are afoot to move to a new West End office early next year, so that the agency can grow its team further. The business has been built around the retention and development of key clients including Waitrose, London Business School, UKTV and LinkedIn, whilst its venue finding brand, Venue Search London has achieved annual growth of over 20% in each of the last four years. MD Steph Eayrs said: "While we understand that our clients are very much at the centre of everything we do, it is developing our amazing and dedicated team of people that has been at the very heart of our growth. "It was great to welcome the wider Story family to our anniversary party and we appreciate the commitment and long hours worked by our team at peak sales and event delivery periods."